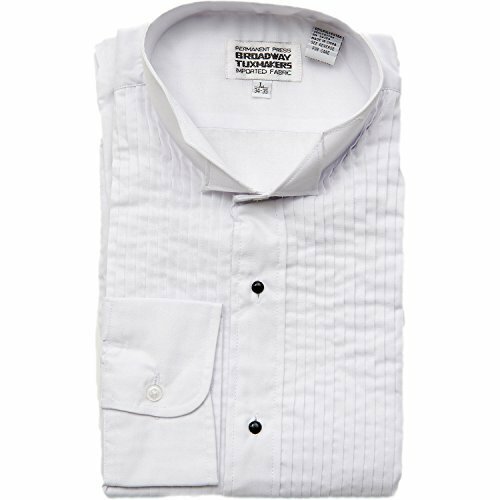 Broadway Tuxmakers Men's Wing Tip White Tuxedo Shirt 1/4 Inch Pleats by (Small 34/35) by Broadway Tuxmakers at SCRHI. MPN: 43215-24285. Hurry! Limited time offer. Offer valid only while supplies last.